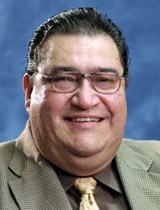 Dr. Alejandro (Alex) Castillo is associate professor in the Department of Animal Science. He is also a member of the Intercollegiate Graduate Faculty of Food Science and Technology, and chair of this faculty since May of 2010. He teaches the graduate course in Microbiology of Foods at Texas A&M University. Before joining the Texas A&M faculty in 2002, he was a professor in the Department of Biology and Pharmacy at the University of Guadalajara, Mexico. Alex has taught courses in food safety at the graduate level as guest professor at the University of Buenos Aires in Argentina, the University of Guatemala Valley in Guatemala and the University of Central America in Nicaragua. Alex’s research interests include the development of control measures for minimizing and reducing pathogens in fresh and fresh-cut produce and on beef carcasses, the prevalence of pathogens in fresh produce and the use of electron beam irradiation for food safety purposes. He has published numerous articles in peer-reviewed journals, has authored or co-authored 6 book chapters and has published two books as editor. Is active member in various professional organizations and assists as reviewer in different scientific journals. Duffy, E. A., L. M. Lucia, J. M. Kells, A. Castillo, S. D. Pillai and G. R. Acuff. 2005. Concentrations of Escherichia coli and Genetic Diversity and Antibiotic Resistance Profiling of Salmonella Isolated from Irrigation Water, Packing Shed Equipment, and Fresh Produce In Texas. Journal of Food Protection 68:70-79. Navarro-Hidalgo, V., E. Cabrera-Díaz , H. Zepeda, L. Mota de la Garza, A. Castillo and R. Torres-Vitela. 2005. Levels and Enterotoxigenicity of Clostridium perfringens in Pozole, Tamales and Birria. Journal of Food Protection 68:331-335. King, D. A., L. M. Lucia, A. Castillo, G. R. Acuff, K .B. Harris, J. W. Savell. 2005. Evaluation of Peroxyacetic Acid as a Post-Chilling Intervention for Control of Escherichia coli O157:H7 and Salmonella Typhimurium on Beef Carcass Surfaces. Meat Science. 69:401-407. Ellebracht, J. W., D. A. King, A. Castillo, L. M. Lucia, G. R. Acuff, K. B. Harris, and J. W. Savell. 2005. Evaluation of Peroxyacetic Acid as a Potential Pre-Grinding Treatment for Control of Escherichia coli O157:H7 and Salmonella Typhimurium on Beef Trimmings. Meat Science. 70:197-203. Duffy, E. A., L. Cisneros-Zevallos, A. Castillo, S. D. Pillai, S. C. Ricke and G. R. Acuff. 2005. Survival of Salmonella Transformed to Express Green Fluorescent Protein on Italian Parsley as Affected by Processing and Storage. Journal of Food Protection 68:687-695. Schmidt, H. M., M. Palekar, J. E. Maxim and A. Castillo. 2006. Improving the Microbiological Quality and Safety of Fresh-Cut Tomatoes by Low-Dose Electron Beam Irradiation. Journal of Food Protection 69:575-581. Rodriguez, O., E. Castell-Perez, N. Ekpanyaskun, R. Moreira and A. Castillo. 2006. Surrogates for Validation of Electron Beam Irradiation of Foods. International Journal of Food Microbiology. 110:117-122. Castillo, A., A. Villarruel-López, V. Navarro-Hidalgo, N. E. Martínez-González and M. R. Torres-Vitela. 2006. Salmonella and Shigella in fresh-squeezed orange juice, fresh oranges and wiping cloths collected from public markets and street booths in Guadalajara, Mexico: Incidence and comparison of analytical routes. Journal of Food Protection 69:2595-2599. Varela-Hernández, J. J., E. Cabrera-Diaz, M.A. Cardona-López, L.M. Ibarra-Velázquez, H. Rangel-Villalobos, A. Castillo, M. R. Torres-Vitela and A. Ramírez-Álvarez. 2007. Isolation and characterization of Shiga toxin-producing Escherichia coli O157:H7 and non-O157 from beef carcasses at a slaughter plant in Mexico. International Journal of Food Microbiology. 113:237-241. Knight, T. D., A. Castillo, J. Maxim, J. T. Keeton and R. K. Miller. 2007. Effectiveness of Potassium Lactate and Sodium Diacetate in Combination with Irradiation to Control Listeria monocytogenes on Frankfurters. Journal of Food Science. 72:M26-M30. Alvarado-Casillas, S., S. Ibarra-Sánchez, O. Rodríguez García, N. Martínez-Gonzáles and A. Castillo. 2007. Comparison of Rinsing and Sanitizing Procedures for Reducing Bacterial Pathogens on Fresh Cantaloupes and Bell Peppers. Journal of Food Protection. 70:655-660. Duong, D.Q., P.G. Crandall, F.W. Pohlman , C.A. O’Bryan, C.W. Balentine and A. Castillo. 2008. Improving ground beef safety and stabilizing color during irradiation using antioxidants, reductants or TSP. Meat Science. 78:359 – 368. Gomes, C., R. G. Moreira, M. E. Castell-Perez, J. Kim, P. Da Silva, and A. Castillo. 2008. E-Beam Irradiation of Bagged, Ready-to-Eat Spinach Leaves (Spinacea oleracea): An Engineering Approach. Journal of Food Science. 73:E95-E102. Neal, J. A., E. Cabrera-Diaz, M. Márquez-González, J. E. Maxim and A. Castillo. 2008. Reduction of Escherichia coli O157:H7 and Salmonella on Baby Spinach Using Electron Beam Irradiation. Journal of Food Protection. 71:2415-2420. Cabrera-Díaz, E., T. M. Moseley, L. M. Lucia, J. S. Dickson, A. Castillo and G. R. Acuff. 2009. Fluorescent Protein-Marked Escherichia coli Biotype I Strains as Surrogates for Enteric Pathogens in Validation of Beef Carcass Interventions. Journal of Food Protection. 72:295-303. McGlinn, W. G., L. P. Brandenberger and A. Castillo. Council for Agricultural Science and Technology (CAST). 2009. Food Safety and FreshProduce: An Update. CAST Commentary QTA2009-1. CAST, Ames, Iowa. Alvarado-Casillas, S., L. S. Ibarra-Sánchez, N. E. Martínez-Gonzáles, M. O. Rodríguez García, and A. Castillo. 2010. Validation of a Washing and Sanitizing Procedure for Cantaloupes at a Mexican Packing Facility. Journal of Food Protection. 73:362-365. Neal, J. A., B. Booren, L. Cisneros-Zevallos, R. K. Miller, L. M. Lucia and A. Castillo. 2010. Shelf-Life and Sensory Characteristics of Baby Spinach Subjected to Electron Beam Irradiation. Journal of Food Science. 75:S319-S326. Brandt, A. L., M. D. Hardin, A. Castillo, K. B. Harris, J. T. Keeton and T. M. Taylor. Inhibition of Listeria monocytogenes by Food Antimicrobials Applied Singly and in Combination. Journal of Food Science. Accepted July 2010.